Just like Magnolia the memory is still fresh when the Reigning Carinderia Queen 2012 Ms. Luisa Matsushita of Chezta Eatery was hailed as winner. Just like Miss Universe Pageant it is time to bid farewell and pass her crown to the next Carinderia Queen. The ultimate carinderia food trip of the year is all geared up and ready to satisfy our tummies and minds with an amazing line up of mouthwatering dishes at the Magnolia Fresh Chicken Carinderia Fiesta 2013 this October 11 and 12, 2013 at the World Trade Center. One of the high points of the 2-day event is the search for the next Carinderia Queen and this is definitely not your cookie cutter kind of beauty pageant. Beyond Beauty – Carinderia Queen 2013 Pageant is in line with Magnolia Fresh Chicken Carinderia Fiesta’s objective as an advocacy program - which is to encourage every kusinera and carinderia owner to take pride in their craft. To salute the service frontliners and our alternative nanay, ate, or tita during our breakfasts, lunches and dinners the hailed Carinderia Queen will serve as the ambassador for all the carinderia owners. 80 charming carinderia queen aspirants battled it out during the pre pagreant ceremonies at the Manila Ocean Park for the chance to be chosen as one of the 14 Semi - finalists. They will join the rest of the carinderia participants as well as the drum and bugle corps during the opening day’s welcome parade and take centerstage on October 11, 2013 for Carinderia Queen Pageant Talent Night. The new Carinderia Queen and her court will be revealed on October 12 during the coronation night hosted by Ms. Amy Perez and special guests. The search for the Next Carinderia Queen will take to serious task a team of judges lead by no less than Mama Renee Salud who will evaluate the candidates based on their Knowledge of the Carinderia business, Personality, Attitude and their inspiring Buhay Carinderia stories. The crowned Carinderia Queen 2013 and her court will win Condura Negosyo Refrigerators, Gazito Set from PR Gaz, Gift Pack from OpenRice.com, Cookwares from Ramesh Trading and Assorted Gifts from Nutri-Asia, Dole Philippines, Ever Bilena, Mega Sardines, Island Gas among others. The People’s Choice Award will be given a special prize by Sun Cellular. 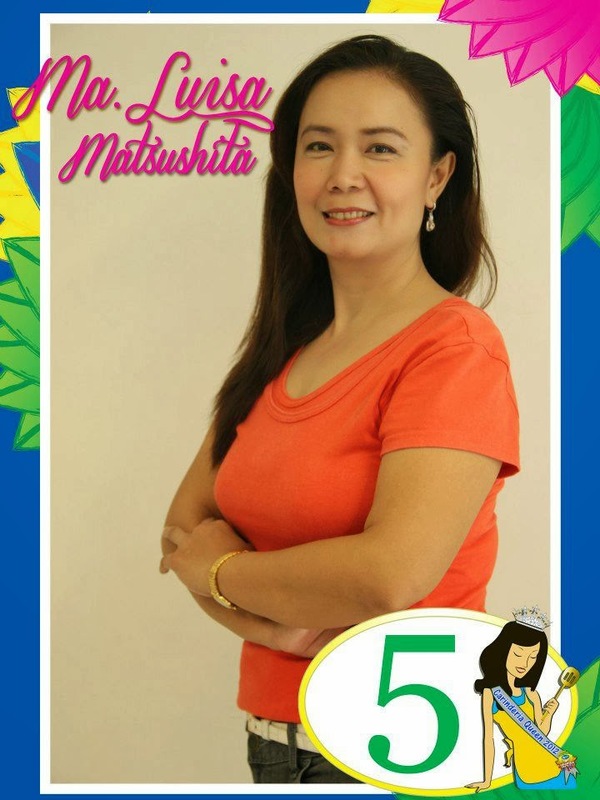 The Reigning Carinderia Queen 2012 is Ms. Luisa Matsushita of Chezta Eatery since winning has been able to establish two more branches. Magnolia Fresh Chicken Carinderia Fiesta, launched last September 23-24, 2011 at the World Trade Center, was lauded by the public and the various business units in the food industry for its unforeseen, overwhelming success. A clamor for another carinderia episode followed, fuelled by an insatiable desire to continue on inspiring kusineros and kusineras to excel in their own carinderia business. Topping the Year 1 and 2, Carinderia Fiesta Year III, dubbed as the “The Most Celebrated Carinderia Event of the Year!” aims to help more carinderias in the country by helping them realize their true worth amidst the landscape of our Filipino culture. The event aims to uplift the level and standards of our very own carinderias while keeping the true Pinoy culture, may it be in cooking, flavor and values. For more information, visit www.carinderiafiesta.com , or the official Carinderia Fiesta Facebook Fanpage or contact Marylindbert International at Tel. Nos. 899-1943 to 44.